The Albanian boxer from Lezha Jurgen Uldedaj, 21, has 9 wins and no loss in his career as a professional and on Dec. 15 will hold in Tirana a match valid for the title World Champion in WBO Junior category. This challenge will take place in the cruiserweight, while the name of rival boxer of Uldeda soon will be revealed. 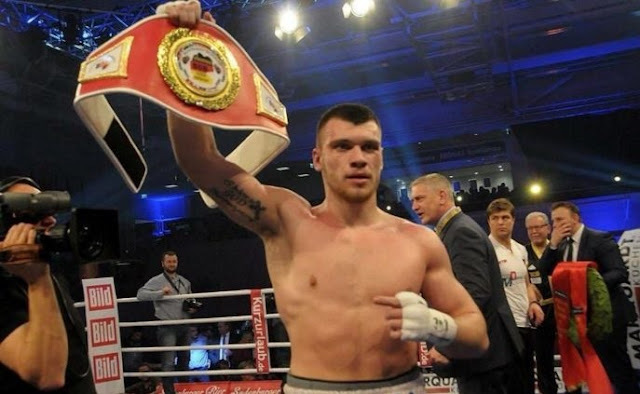 Uldedaji started his career as a professional boxer 3 years before, trained with the German team of SES Boxing and after 8 matches held in Germany and one in Poland, he will eventually play also in front of his Albanian public. And this will done it a major challenge for him, as he will play for the World Champion title for the WBO Junior category. In February this year, Uldedaj won the title "International German Master" and is now taking another important step in his career. In a post on his official Facebook page, he asks the support of Albanian fans. "Your support is my strength. I invite you to support me at "Olimpik Arena", writes Jurgen Uldedaj, aiming his 10th victory as a professional boxer.